The Coral House overlooking Milburn Lake in Baldwin, Long Island, NY offers an exquisite location for weddings, anniversary celebrations, corporate events and holidays. 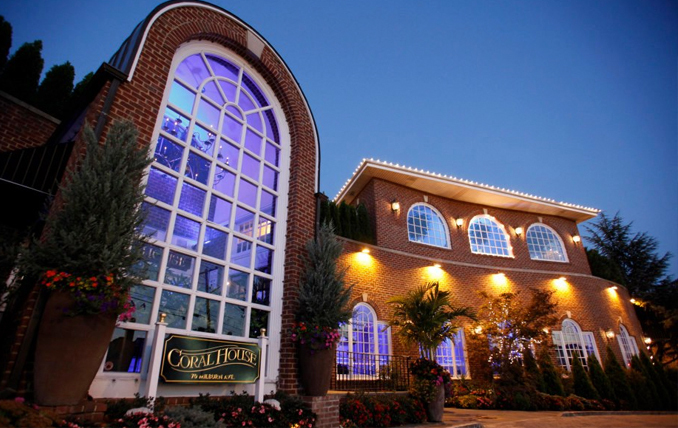 Whether you’re planning a wedding for several hundred guests, an intimate party for family and friends, or a business gathering, the Coral House will make your special event an occasion to always remember. 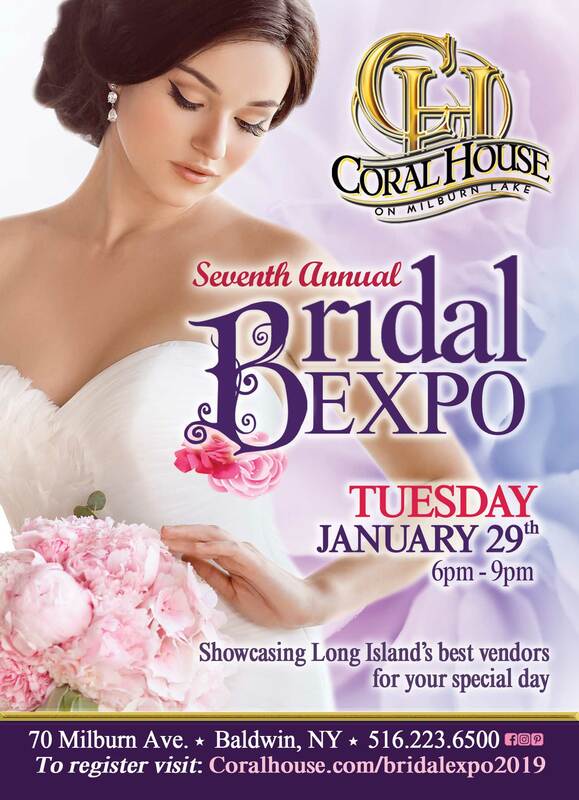 The Coral House is one of Nassau County Long Island’s most elegant, picturesque, waterfront wedding reception and catering/event facilities. We offer a variety of scenic options for your event: outdoor lakeside, the rooftop terrace, our grand ballroom and other beautiful venues of varying sizes. From décor to dining, setting to service, every aspect of your event at the Coral House will be perfect, even the price.